※ Depending on the country you indicated where you reside during the account registration process, your account screen may be slightly different than what is shown in the screenshots below on this page. 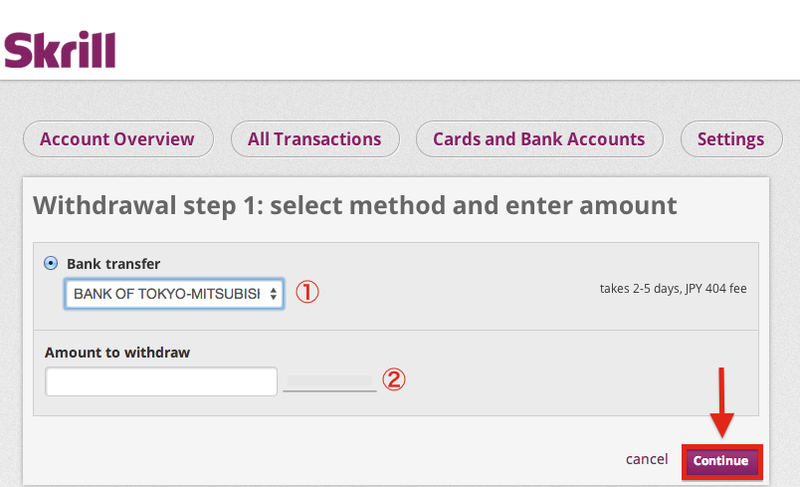 After successfully logging in, click on “Withdraw” in the right-hand part of the screen to view available withdrawal options. After selecting a bank account from your list of registered bank accounts to receive the withdrawal, enter in the amount that you would like to withdraw followed by clicking the purple “Continue” button to finalize the withdrawal transaction. Withdrawals via bank transfer will be reflected in your designated bank account in two (2) to five (5) days. 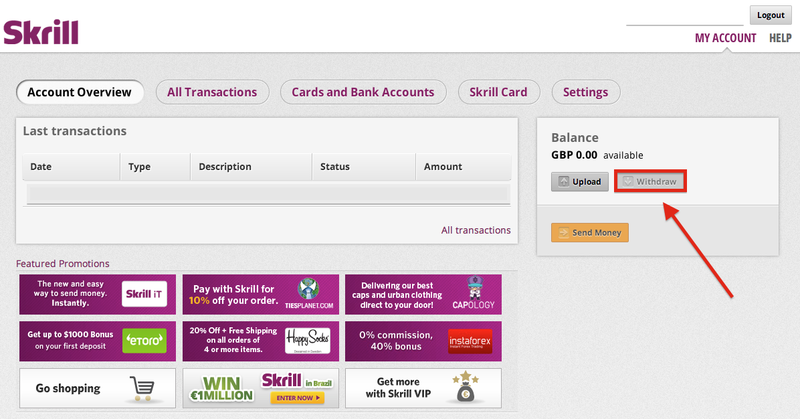 To apply for your own Skrill Prepaid MasterCard, click on “Skrill Card”. 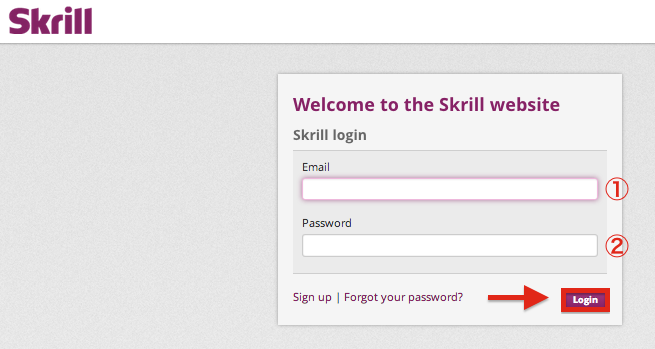 After confirming your mailing address and account holder name, click the purple “Order your Skrill MasterCard” button. 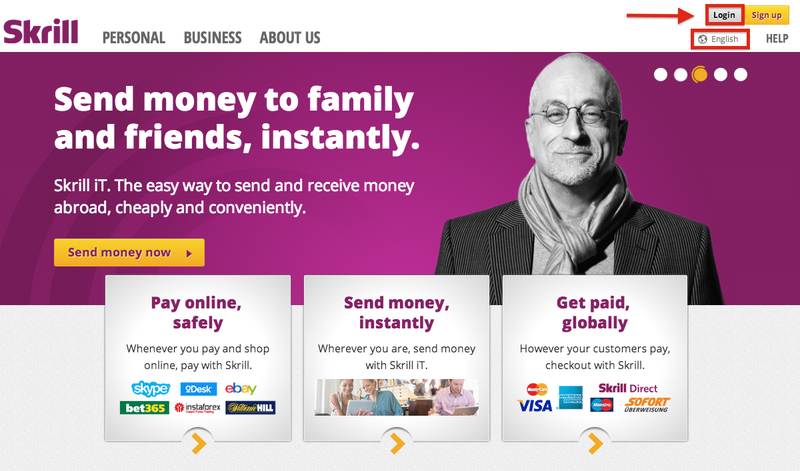 ※ Note that depending on where you reside it will take anywhere from seven (7) to ten (10) business days for your Skrill Prepaid MasterCard to arrive in the mail. 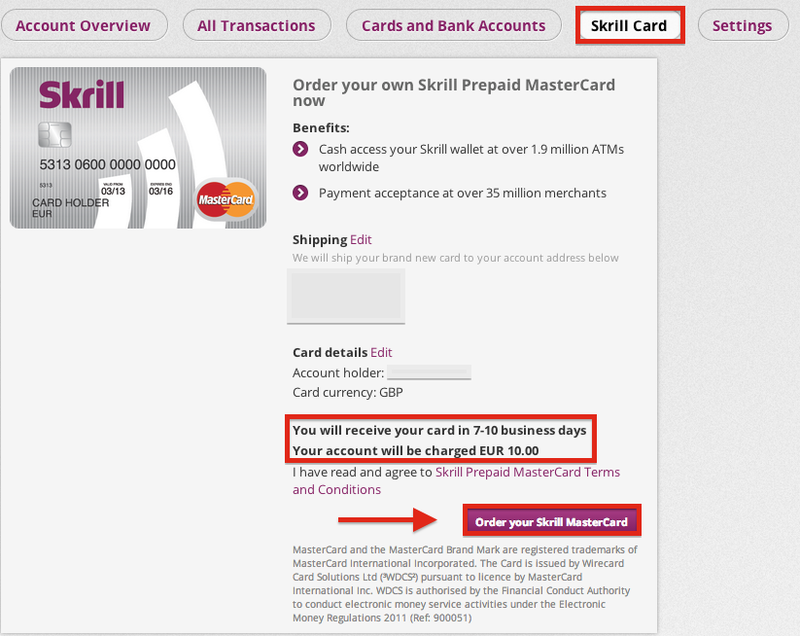 Also, your Skrill account will be charged EUR 10.00 for issuance of the card. On the next screen an estimated time frame as to when your card will arrive will be shown for your reference. Want to withdraw your money with Moneybookers? View here for a step-by-step guide on how you can have a withdrawal processed and receive your funds.